If you’re looking for a way to add more rustic wallpapers that effortlessly slide into your modern home, the Modern Farmhouse collection is perfect for you.  Featuring a number of versatile designs that ooze simplistic, natural vibes all throughout your home. 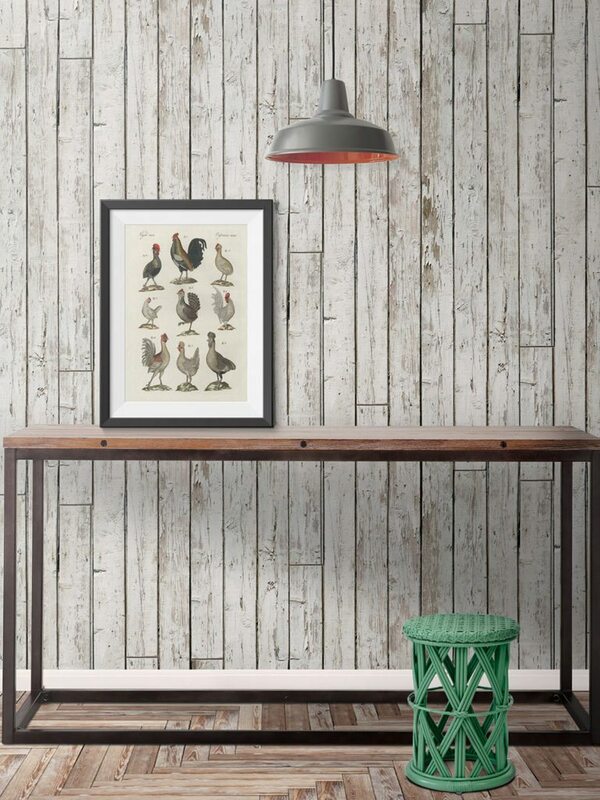 Here we have picked 5 of our favorite Farmhouse wallpapers that add charm while complementing your modern home. 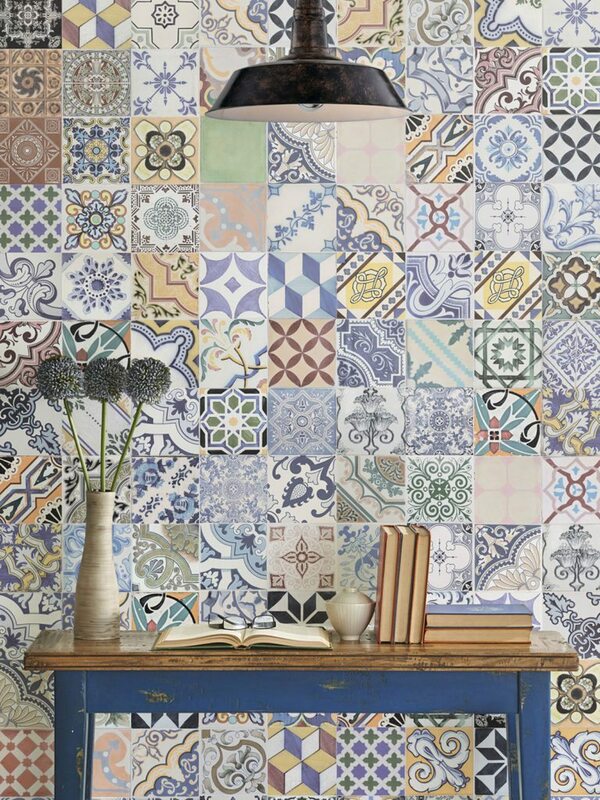 Federation Tiles is a new ceramic wallpaper that has character crawling all over it. This classic style has been given a rustic look with warm, softer colors and patterned titles scattered randomly. While it may seem like a lot is going on, the features of this design make it effortless to slide this design into a modern, minimalistic bathroom or kitchen as a timeless feature wall. It doesn’t get much more Modern Farmhouse that Camden Factory Bricks. 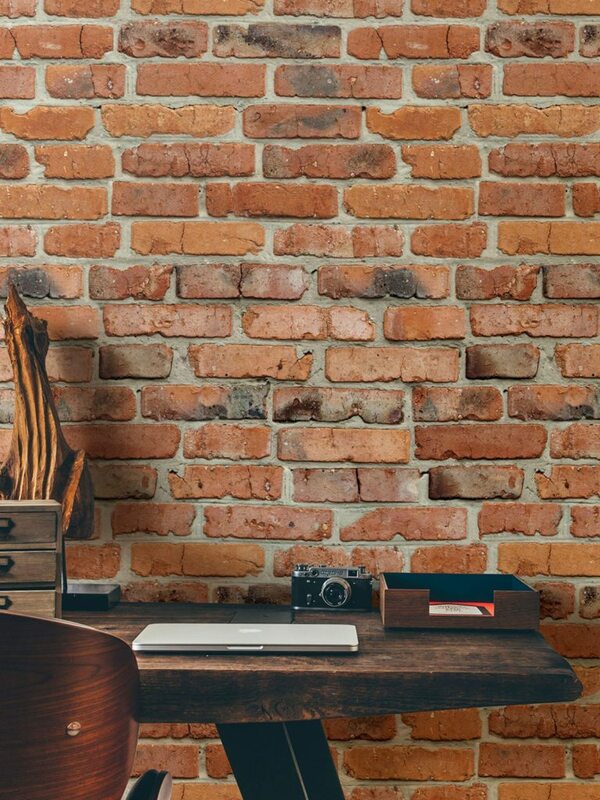 The exposed brick trend has been a long interior design favorite and now you can add it to your space without the hassle of exposing your bricks. This design easily adds a rustic, on-trend look to your already modern home with it’s charm and character. Adding this to your study, bedroom or living space creates a big city vibe all without leaving the comfort of your home. 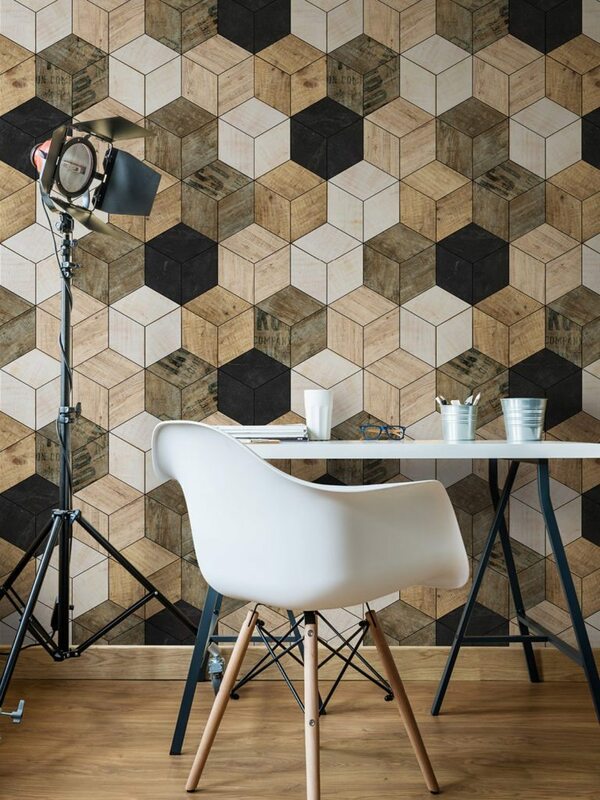 This 3D masterpiece has been created from reclaimed timber and slate pieces, creating the perfect geometric wallpaper to add to your space. Geometric Timber Cube features richer and darker tones, which will actually brighten your space with their warmth and abundance in charm and texture. Suitable for any room of the house, this design is the perfect way to add a complimenting wow factor to your modern home without creating an overwhelming feeling. If you’re looking to spruce up a modern space with something rustic and retro look no further than Gosport St Milk Bar. The retro era is known for it’s bold, bright and unique features and this design captures it perfectly. An array of old soda crates transports you to a 50’s Aussie summer in a cool and quirky way, all while having you wish you could delve deep into those rustic vibes and join in on all the fun! 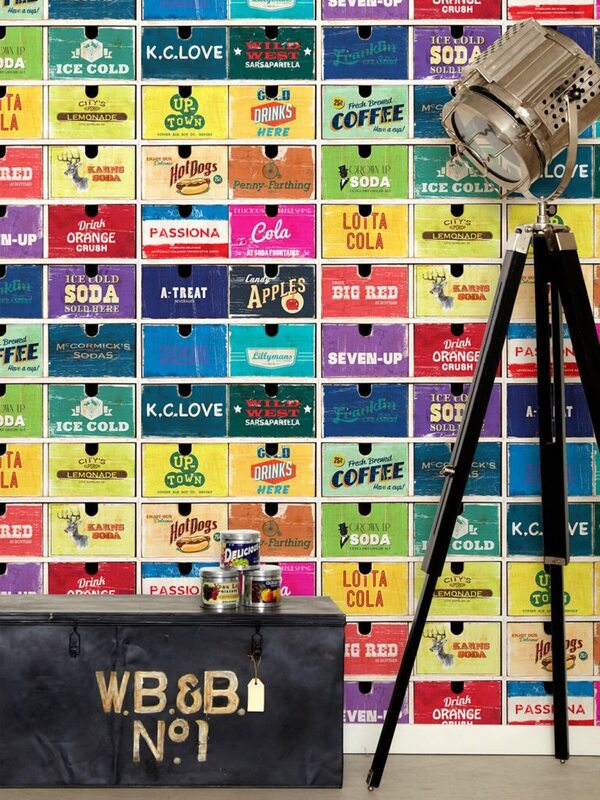 Perfect for any room and any season, Gosport St Milk Bar is the wallpaper of your retro dreams. Pally Post Office is the easiest way to add character and a sense of history into your home. The rustic, ‘beaten down’ timber panels act as the perfect canvas for a modern space that is crying out for some old school charm. The washed look of the timber allows for it to easily slide into any interior style and suits any space in your home or workplace. These are our top 5 picks from the Modern Farmhouse collection. Any one of these designs is sure to add that sense of charm and character you’ve been dying to add to your modern home. Be sure to let us know which one you pick up!